Subdued elegance. That's what I had in mind when I conceptualized the design for these formal-wear accessories. 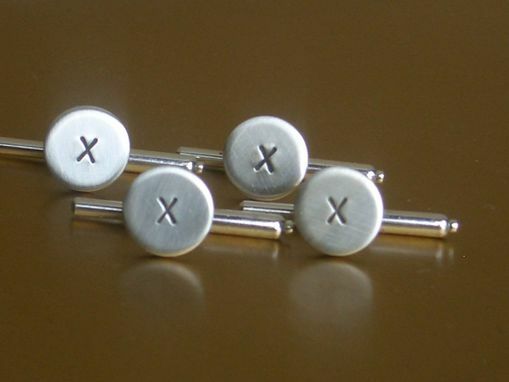 A custom order comes with a set of four hand stamped studs made from sterling silver. 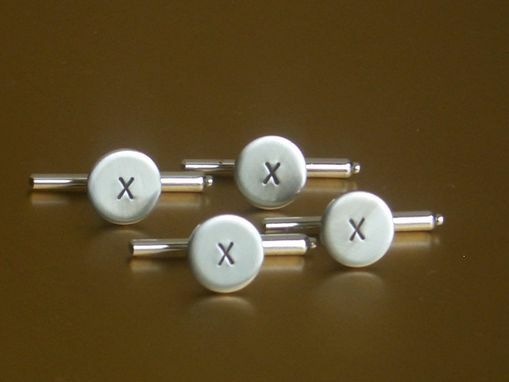 Each stud, comprised of a sterling silver rod for the back piece, is attached to a stylish sterling disk. While the precise shaping of these pieces have resulted in meticulous lines and edges, the finish in brushed matte also make these accessories a great accent for casual sports coats and tailored everyday wear. I am pleased with the final product and would consider working with this provider again.